The Nantucket Table with Bench and Two Chairs is one of the most gorgeous furniture sets to date. Kids can use the large workspace for working on homework, making crafts or even enjoying a tasty meal. 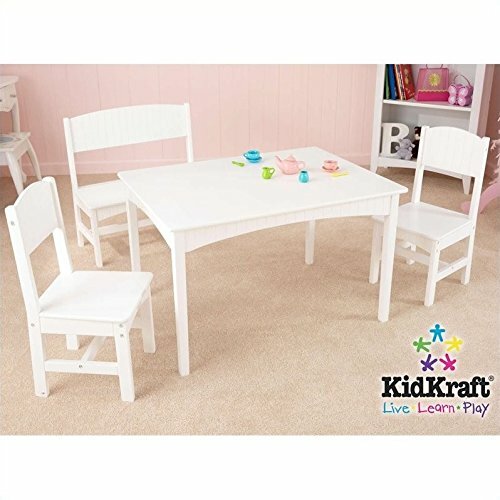 This set is perfect for families with multiple children. It features wainscoting details and a white finish. Made of wood. Sturdy construction. Measures 23.5"L x 31.75"W x 19.62"H.